Continuing medical education (CME) consists of educational activities which serve to maintain, develop, or increase the knowledge, skills, and professional performance that a physician uses to provide services for patients. It refers to a specific form of education that helps those in the medical field maintain competence and learn about new and developing areas of their field. The main goal of Medical Education is to achieve optimum patient care. The continuum of Medical Education spread over Undergraduate and Postgraduate Medical Education is incomplete without Continuing Medical Education, which continuously help in filling the gaps of knowledge and skills that remain after schooling or formal training, and does also help in keeping the knowledge base current, skills honed and the values and attitudes conform to the societal expectations and modern trends. College of Physicians and Surgeons Pakistan (CPSP), a premier institution of postgraduate medical education in Pakistan and a leader for introduction of innovative concepts in medical education as a whole, conceived the need for an organized system of Continuing Medical Education (CME) at the national level that could keep our graduates and specialists fully competent and current in their practices. The CME Unit, in the first phase developed an elaborate plan of CME activities to be organized by the College for its residents, supervisors, examiners and staff. The College also wished that the CME credits awarded by the College should be internationally accepted. 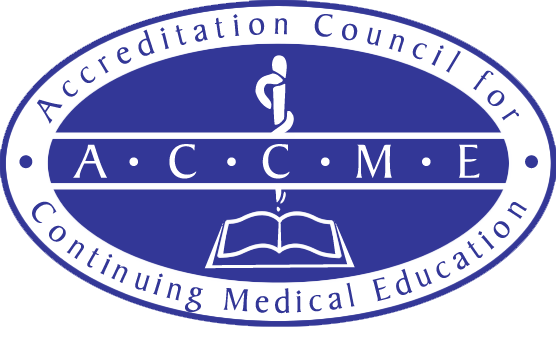 In this regard it approached the Accreditation Council for Continuing Medical Education (ACCME) of North America, the only credible and authentic organization in the world for this purpose. After a prolonged process extending over two years, the CPSP has achieved yet another milestone of acquiring ACCME accreditation as a provider of CME activities, which now CPSP is the only one to enjoy this status in the whole Asia. I am further pleased to state that in order to facilitate the acceptance of CME credits of the College internationally, the CPSP Council has decided to adopt the American Medical Association (AMA) CME Credit system AMA PRA Category 1 Credit™, which entails award of one credit for each hour of CME activity.